Mobile operators face a number of game-changing challenges, including an explosion in data usage, as handset vendors corner the market for applications. Plans to deal with these issues could prove to be a boon for consumers, but also stand a chance of annoying them. It is clear operators are barely coping with huge increases in data traffic, and the situation is only going to get worse as waves of new smartphones and tablets appear, according to Shaun Collins, managing director at market research company CCS Insight. Technology such as Wi-Fi and femtocells, as well as network improvements like fiber backhaul and the rollout of WiMax and LTE (Long-Term Evolution), will help clear data-transmission bottlenecks. But operators also need to directly address the source of the problem, and that means putting controls on data traffic to throttle demand, Collins said. Operators including AT&T in the U.S., KDDI in Japan and Vodafone in Europe have all underlined the need for new pricing schemes that address heavy users of mobile data. But there have been few details on what that would actually mean. Subscriptions will come with more controls, limits and payment parameters, expects Richard Webb, directing analyst at market research company Infonetics. Some heavy users are going to be disappointed because they won't be able to do what they used to, or will have to pay more for what they used to get, Webb said. The flip side is that the changes will probably benefit normal users, who today run the risk of having their access slowed down, for example, by people who download music all day, Webb said. New controls and payment plans may allow normal users to get better and more consistent access, while having the option to pay for a higher priority when desired, he said. One of the ways operators seem to want to tackle the data issue is by using quality of service mechanisms to offer differentiated classes of mobile broadband subscriptions, similar to an airline that allows travelers to choose between economy, business or first class, according to Webb. 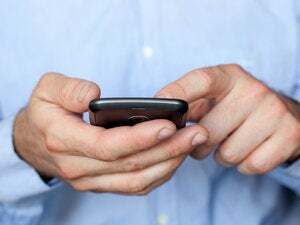 Wireless users in a lower class and with a lower monthly cost could get better access for a limited time by hitting a "turbo button" and paying a one-time fee, he said. Alcatel-Lucent's CEO Ben Verwaayen thinks operators should rethink the notion of just charging for capacity and data. Most people don't understand what a gigabyte of data allowance means, according to Verwaayen. Instead, operators should look at charging extra for services, he said. For example, a user may be willing to pay an extra US$0.50 per month for an alert on something that is important to them wherever they are. "That is perceived value and has nothing to do with bandwidth. But then you have to market it in a way that people understand the added value," said Verwaayen. When operators start implementing tiered services, they have to be careful to not over-promise what users will get, because doing that is part of the nature of mobile operators, according to Collins. How far operators actually dare to stray from existing pricing models, or are allowed to do so by possible network neutrality rules, remains to be seen. The Swedish-Finnish venture TeliaSonera, which is so far the only operator that has launched mobile broadband services based on LTE, has taken a cautious approach, and will charge subscribers 599 Swedish Kronor (US$80) per month for 30GB of data, compared to 319 Swedish Kronor for 20GB using HSPA (High-Speed Packet Access). LTE is a premium service with higher speeds -- between 20M bps (bits per second) and 80M bps compared to up to 10M bps -- that users will have to pay more for, according to Indra &#197;sander, head of product management at TeliaSonera in Europe. TeliaSonera wanted its first LTE-based subscription to be something that users recognize, and is as easy as possible to understand, according to &#197;sander. However, in the not-too-distant future it will expand to other offers to mix and match a number of different parameters, including data volume, speed and services backed up by quality of service measures, &#197;sander said. In theory, having as many options as possible is a good thing for consumers, but operators also run the risk of confusing them, according to &#197;sander. Higher mobile speeds -- using not only LTE, but also WiMax and HSPA+ -- will let users do more with their smartphones, tablets and laptops. The way people use such devices is changing also thanks to a growing number of available applications that let users do everything from sleep-pattern monitoring to visualizing where the Berlin Wall was located. Today, that market is dominated by Apple and Google, but operators are hoping to change that by working together within the Wholesale Applications Community. The organization, announced in February, boasts 24 mobile operators in its member roster, including AT&T, China Mobile, NTT DoCoMo, Orange, Telef&#243;nica, Sprint, Verizon Wireless and Vodafone. The group aims to let developers create applications that can be sold in all the members' application stores and run on high-end smartphones as well as cheaper handsets. The first applications based on the work done by the Wholesale Applications Community will arrive in February next year, but meanwhile developers can get to work in September, the organization said on May 5. The fact that the Wholesale Applications Community is proposing a model that spans multiple phone vendors could be great for consumers, since it would allow them to take their applications with them when they switch from one phone maker to another, according to Webb. "At the moment, people are locked into their iPhones. Even those who are frustrated are sticking with it, because they have spent money on applications, and can't move them to a handset from HTC," said Webb. Whether they are already too far behind to be able to catch up to Apple and Google remains to be seen, according to Webb. Collins agrees: The operators have a long way to go before they can convince developers that the Wholesale Applications Community is as attractive as the iPhone or the Android platform, he said. The Wholesale Applications Community is also looking to lure developers by simplifying access to the network APIs (application programming interfaces) at multiple operators, which, for example, would let them access billing features. There is also a lot that can be done with micropayments using the billing relationship that the operators already have with subscribers, according to Collins. "These are the seeds of the future of mobile ... If the mobile phone isn't at the center of your life, it is inevitably going to become so," said Collins.